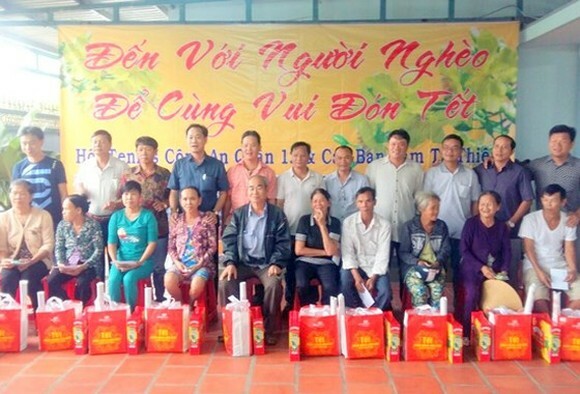 An art program raising fund for the poor and Agent Orange/dioxin victims on the upcoming Lunar New Year will be organized in Hanoi on January 7, according to the event’s organizer, the Vietnam Red Cross Society (VRC). The annual charity show aims to call for donations to present at least two million Tet gifts to disadvantaged people, particularly victims of natural disasters. On the occasion, VRC and the National Humanitarian Portal 1400 have launched a text-message campaign from December 27, 2017 and February 24, 2018. Each message of “TET” sent to 1409 will donate VND20,000 (US$0.88) to the purpose.